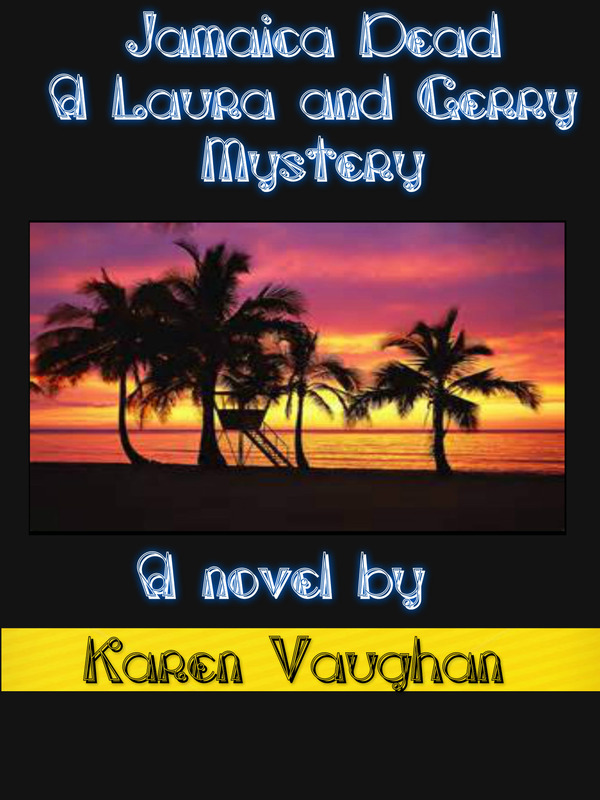 What You Didn’t Know About Karen Vaughan! I can honestly say that I meet the most interesting people; it comes with the territory, being an author. Karen Vaughan is a multi-talented woman. Author, stand-up comedian, blog talk radio host, wife, mother, blogger, to name a few of the incredible tasks she manages to complete on a daily basis. 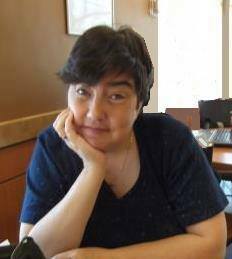 Karen lives in Peterborough Ontario, Canada, writes a great mystery series, multiple blogs, and her Facebook updates often make people smile. She loves music and enjoys time with her friends, family, and her cat. She says her sense of humor is warped and sarcastic, but no one seems to mind. Fortunate to have been interviewed by her on her talk show, I asked if I could interview her for my blog. Graciously she accepted. Here’s my interview with Karen, enjoy! Amanda: I love people, I do. But I’m more of an observer than a participant in large groups or many group activities. Observing tells you a lot about people. You’re a comedian, stand-up comic, do you prefer to get your material by being an observer of others or do you get stuck in and participate in the daily chaos of group events or activities in your daily life? Answer – Karen: I get my ideas as a comic from things I see on social media or experiences in my own life. I guess I would get ideas from pretty much every where. In groups we toss around plot ideas and dare each other to think way out of the box. I am so way out of the box I forget where I put it. Amanda: When I start a new project I often know the entire story-line before I start (though inevitably it will change a long the way) map it out. Do you or do you just start to write and figure out the entire book as you go? Karen: I am what is referred to as a pantser. I flesh it out as I go and my characters are the ones driving the bus most of the time. I am allowed to put my 2 cents worth in occasionally. I have a beginning point of a story but seldom an end until I get close to it. Amanda: Have you ever written a scene or character that is directly linked to someone or an event that you regret disclosing? Karen: No not really as the large part of my audience does not know the origin of the person the character it’s based on. I had a recent situation where I was going to write about someone who had really let me down and hurt me. I think I have modified my thinking that I should paint her as evil as I really wanted to. Amanda: If you do not write a scene correctly, does it haunt you or can you let it go and move on? Karen: No I go and fix it so it doesn’t bother me as much and then move on. Amanda: Writing and working from home, requires a tremendous amount of discipline. How do you balance your time? Karen: I try to write whenever possible but I try to balance time family and friends with my “job” which also includes reviews, cross-promotion of other authors, blogging and self promotion. I will tell my husband when I want a block of time just for that alone and he is good about it. Amanda: Do you ever doubt your skills, and if so why? Karen: Doesn’t any writer? Yes I do, so I take a vacation from the writing for a week. Clear my head and go back to it. There are days when I wonder why I quit my day job for this. Amanda: Who do you believe is your biggest critic? Karen: Me. Sometimes my hubby will say that’s not as good as some of your other stories but encourages me to go on and finish it. He is a major critic on love scenes though. I wrote a very steamy scene for DEAD COMIC STANDING. He wanted it toned down to the point of why bother writing it but I took the really hot stuff out to satisfy him and myself so I wouldn’t feel like I had given in to him totally. Amanda: Of all the things in the world as a writer/author, what would you like to accomplish the most? Karen: It would be fun to hit a best seller list. However, that said my biggest thrill is a good review where I made some one laugh through my writing or my comedy act. Amanda: Have you written the piece, as an author, that you knew in your heart was the one that should the world that your work has worth? (This has nothing to do with monetary sales; it’s a personal thing, likely one that book lovers and writers will understand). 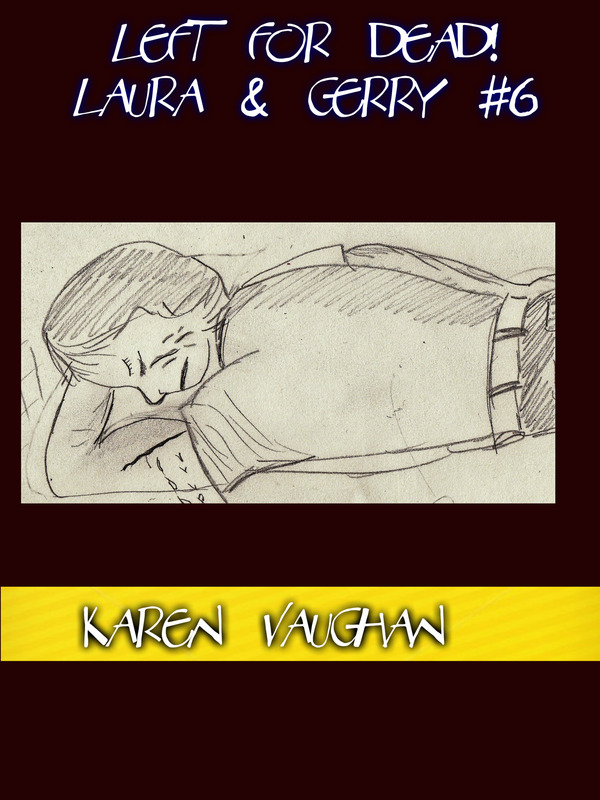 Karen: My memoirs about dealing with mental Health/illness and how I can help others. I have yet to write the greatest novel of all time either; still to come I suppose. Amanda: Do you have secret goals (not secret anymore I suppose if you share them) 🙂 that you rarely discuss with others? Karen: I’d love to attend a writer’s conference and meet other writers. Do a book tour maybe? It’s all pretty retro. Do people, especially indie authors get to do that? I am a starving artist and I never have money we don’t need for that. I would do it in a minute if I won a huge lottery. I have done local readings and signings but nothing huge. These are bucket list items. Amanda: Bonus type question: Of all the things in the world as an author, what is the one thing that you would you like to be remembered for? What is the single most important thing to you? Karen: That is easy. If I can make someone who reads my work laugh or feel happy, I figure I am doing my job. Karen’s work is available where books are sold including Amazon, Barnes & Noble.com or simply click on the links below. I had been visiting Elaine’s cottage near Bancroft. We’re on a walk at the Eagles Nest which sits high over the north end of the town. The view was spectacular and today it did not disappoint. I am seven and half months pregnant and feeling pretty energetic. Yes, I said pregnant. It must’ve happened in Jamaica last fall. Gerry and I were not disappointed whatsoever as we wanted to try for a family before was too late for either of us. We had had a mild winter by Ontario standards. Elaine suggested a walk while I could still move before the third trimester waddle set in. I readily agreed as exercise would make labor easier and I wouldn’t gain too much baby weight. Before I go on my name is Laura Fitz. I am a member of the CSI team for the Metropolitan Toronto police service and the Province of Ontario. Due to my impending parenthood. I have taken a leave of absence from actively visiting crime scenes. My work is concentrated in the lab these days. Testing DNA samples and working ballistics. If you watch any of those crime scene shows on TV. My work is not as glamorous as it seems. Some days are downright tedious, but basically I love what I do. I got into crime scene investigation after finding so many dead bodies in my spare time, I figured I may as well get paid for it. Some people attract animals, I seem to attract dead people. My husband Gerry still thinks my sleuthing is a bit over the top. I don’t ask for this stuff to happen; it just sort of does. I made him a promise last year while we’re on vacation in Jamaica not to get involved in anything that didn’t include just having fun. I tried really hard but the situations we encountered found us. One of the couples we were traveling with got involved with some shady characters on the island. Once again that lead to murder and mayhem, of which I got stuck in the middle. Gerry and I reside in North York, a borough of Toronto. There we manage a high rise building which means dealing with collecting rent and dealing with bitchy tenants. The tenants’ association president, one Stella Stadylmeyer tops my list of the most annoying residents. On this vacation weekend. I was glad to get away from the duties of my secondary job. Stella’s been chasing me around wanted to feel my belly and see if the baby will kick. She also wants to throw me a baby shower. This is something I dread. I keep telling her is not necessary as my sisters are arranging something (I can only hope my sisters are planning something to get me out of this). My biggest fear is Stella will call me down to the laundry room an alleged problem and spring a shower on me. “No but I’ve found something and it’s really gross. I called 9-1-1, as promised, and minutes later we heard sirens. “That didn’t take long.” Elaine said. We waited for the EMTs and the police to come up the trail. We were sitting in plain sight, so they wouldn’t miss us. One of the EMTs thanked us and told us the meat wagon was on its way. Everyone in the medical field referred to the coroner’s van as the meat wagon. The OPP’s crime investigation team arrived to take pictures and process the scene. I knew enough to stay away while they worked, even though I found it morbidly fascinating. I was on vacation. After all, I didn’t really need to get involved. However, like it or not, I was by the sheer bad luck of being in the vicinity of the scene. Soon after the OPP detective arrived to question us and the witness. “We never really saw anything officer I mean, detective. You’ll want to talk to Sherry about that.” I was being honest and forthright with him. To this day, even though I work with law-enforcement agents all the time, some of them still scare the bejesus out of me. This guy was no exception. He was tall and built like a brick outhouse. He had strong features and looked like he could chase the devil out of hell with one scathing look. “Ma’am?” He said to me. “I’m a CSI myself down in Toronto. If we are called in, we assume it’s a crime scene. I’m sorry if I jumped the gun in my assumption, it is just a figure speech and you could be right.” I handed him my card with my credentials on it and gave him my cell phone number in case he had questions. My interrogator didn’t say much. He just stood there taking more notes. I figure he had the social skills of a mortician suffering burnout. To him, I’m just another set of scribbles in a notebook and he just seemed to be passing the time of day until the CSIs brought the body out after they examined John Doe at the scene. The meat wagon arrived just trying to do the transfer. I sat there and wondered what exactly happened to the guy. Was it as simple as an unfortunate accident or did somebody help him over the edge? “Did what?” I asked innocently. The detective and the officers around him looked at both of us like were quite insane. I was sure I was turning red out of embarrassment and I promised myself I would have a talk with Elaine about revealing too much information when it wasn’t needed. I hated my uncanny ability to sniff out the dead ones, and I really wished it would go away. Gerry and I would have more peace if it did. I gave Elaine a little kick to remind her to shut up, but it was too late. The good detective wanted to know about my penchant for finding dead people. “Are you psychic?” He asked me.